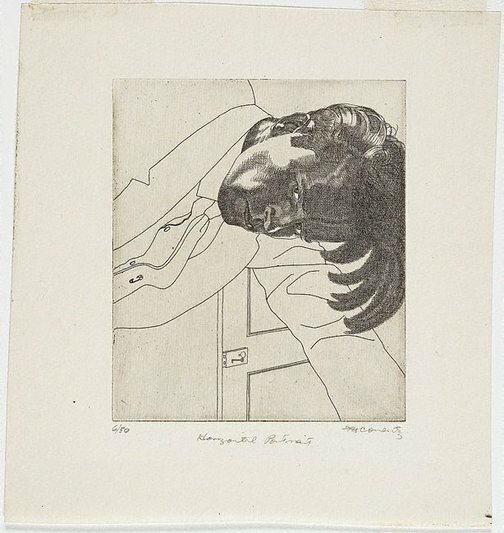 The Gallery has the drawing upon which this self portrait engraving is based, made in 1927 while the artist was still in Sydney; the print mimics the drawing, but in reverse. Gail Ross, Art New Zealand , 'Art & Industry: Frederick Halford Coventry (1905-1997)', pg. 60-63, New Zealand, Summer 2007-2008, 61 (illus. ).